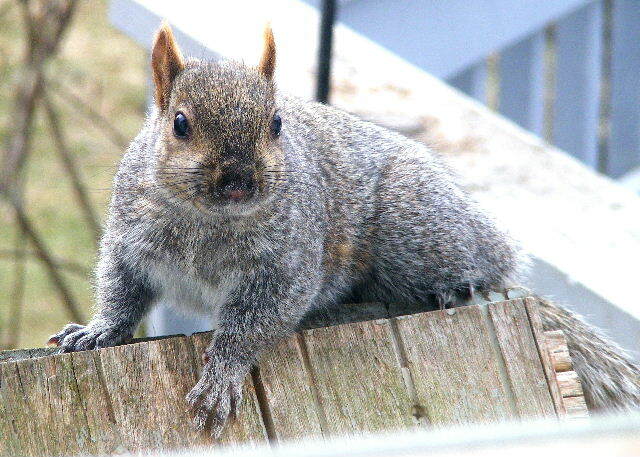 This Eastern Gray Squirrel was foraging on patio in backyard, no doubt looking for the sunflower seeds I scattered. It was a bit smaller than the nearby Fox Squirrel and proportionately thinner. It was gray overall with some buff mixed in on its back. Its undersides were white, and it had a white edge on its bushy tail instead of the buff-orange edge on the tail of the Fox Squirrel. 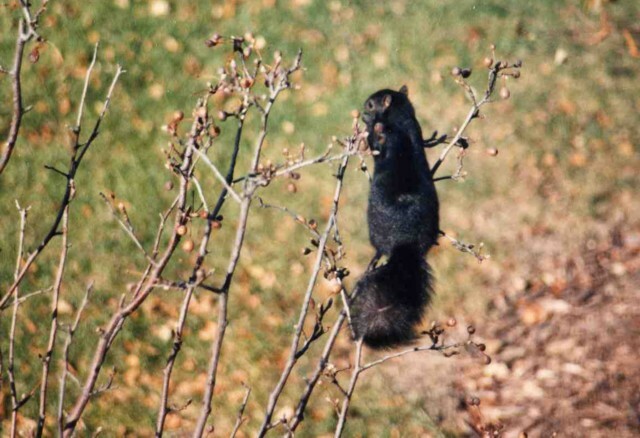 A black phase Eastern Gray Squirrel, the first one I’d ever gotten a good look at, hung around the wood lot outside my office window in the fall of 1993. Here’s the standard gray phase. 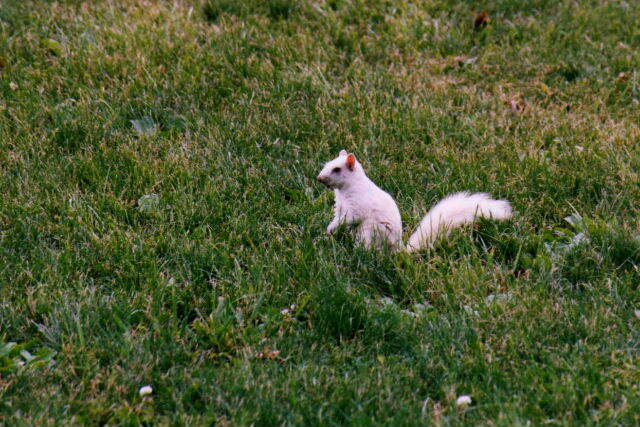 Years later, I saw one of the famous white squirrels in Olney, Illinois.